dance.net - Beautiful white, black and silver 1 yr old Gavin ages 13-15 approx. 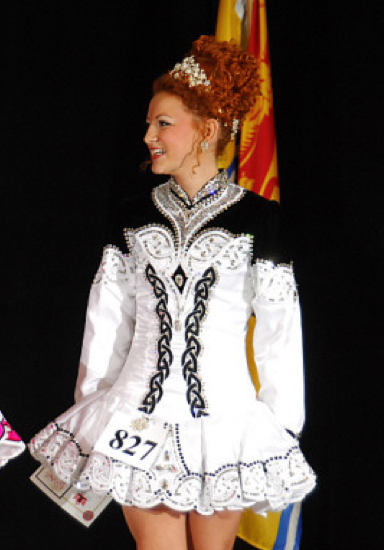 (10182545) - Read article: Ballet, Jazz, Modern, Hip Hop, Tap, Irish, Disco, Twirling, Cheer: Photos, Chat, Games, Jobs, Events! Beautiful white, black and silver 1 yr old Gavin ages 13-15 approx. Outstanding champion Gavin dress, 1 yr old (ordered for Worlds 2013). 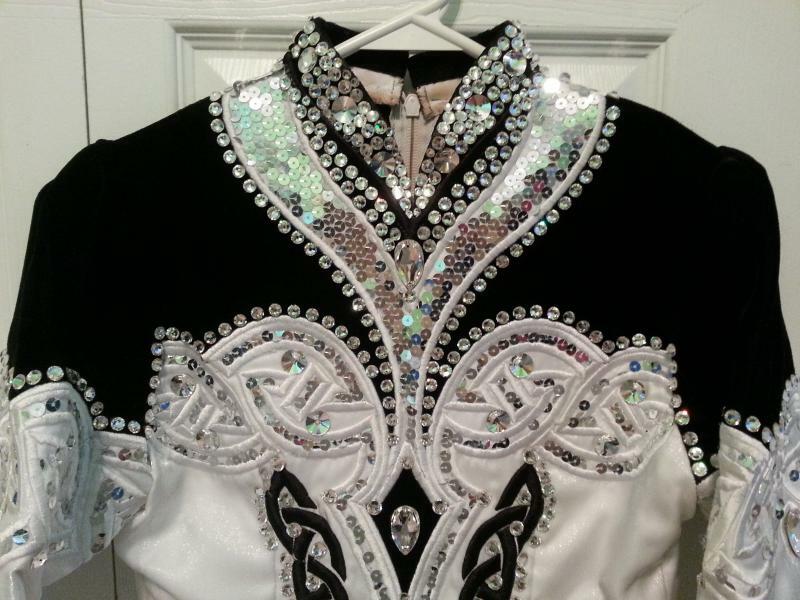 Fully loaded with over $600 Swarovski crystals in all sizes. Neckline/upper bodice combines silver sequins and Swarovski crystals to create a gorgeous necklace effect. Really sparkles on stage. Fabulous condition, no odours, minor make-up stain on inside of neckline which doesn't show when worn. Some catching of the embroidery on inner sleeve cuffs due to snagging on sequins but is protected with clear medical tape. Worn by a petite 15 yr old but please go by measurements for sizing. All measurements are of the actual order placed with dressmaker. Armpit to armpit across back: 14"
Feel free to ask questions. More photos available on request. 1 Replies to Beautiful white, black and silver 1 yr old Gavin ages 13-15 approx. re: Beautiful white, black and silver 1 yr old Gavin ages 13-15 approx. This dress is now SOLD!